There are several reasons why the bracelet given at the WSOP-C National Championship freeroll is can be considered legitimate. First, the players playing in this final had to qualify in order to play. Players could directly qualify either by winning a WSOP Circuit Main Event, by making the final table of a $10k Regional Event, or by taking the title of casino champion at any of the WSOP-C stops. 37 of the 100 players received at large bids based on points. Unlike the WSOP-C of years past, this year’s events drew record fields. Almost every venue saw growth in their numbers and the new format prompted more people to play and play more often. Some might argue that this bracelet is more of a legitimate championship bracelet than many of the open events. Since these players are all either champions or qualifiers, the overall quality of the field is greater than your standard bracelet event. The winner of this event can easily be considered a National Champion due to the fact that the WSOP-C had events available to every part of the country. Unless you were in Hawaii or Alaska, you were within somewhat reasonable driving distance of at least one WSOP-C event. Additional stops were added to give more players and areas a chance to play in the event. The final ended up being the best of the best from around the country. There are others that argue that the WSOP-C bracelet is not a legitimate bracelet based primarily on the fact that the bracelet is not an open field event. Much like the Ladies, Seniors, and Employees Events, this event was limited to only qualifiers and set at a field of 100 players. 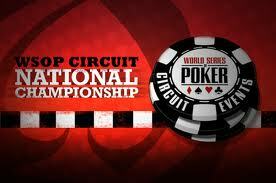 In addition, this event was a freeroll setup with money taken from prize pools from WSOP-C events. This is the first ever bracelet tournament held without a buy-in. Gary makes a couple of great points here. The championship freeroll was not an open event and the qualifying events had buy-ins that many pros would not bother to get out of bed for. The $10,000 events did not bode as well as many had hoped. Some blame it on scheduling, and some weren’t all that impressed with the potential television exposure on Versus. Regardless of where you fall on this debate, one thing that is certain is that people are once again talking about the WSOP Circuit. In the past, the only time you heard about the WSOP-C was when a big name won an event or possibly the Vegas stop due to the pro heavy fields. Now, the Circuit has new life and is reasonable competition to other tournament circuits in the U.S. While many still consider the WSOP-C the “minor leagues” of poker, at the current rate of growth the WSOP-C could soon become a major league player. This entry was posted on Tuesday, May 31st, 2011 at 4:13 am and is filed under Poker News. You can follow any responses to this entry through the RSS 2.0 feed. You can leave a response, or trackback from your own site.